The magic of a used bookstore delivered. 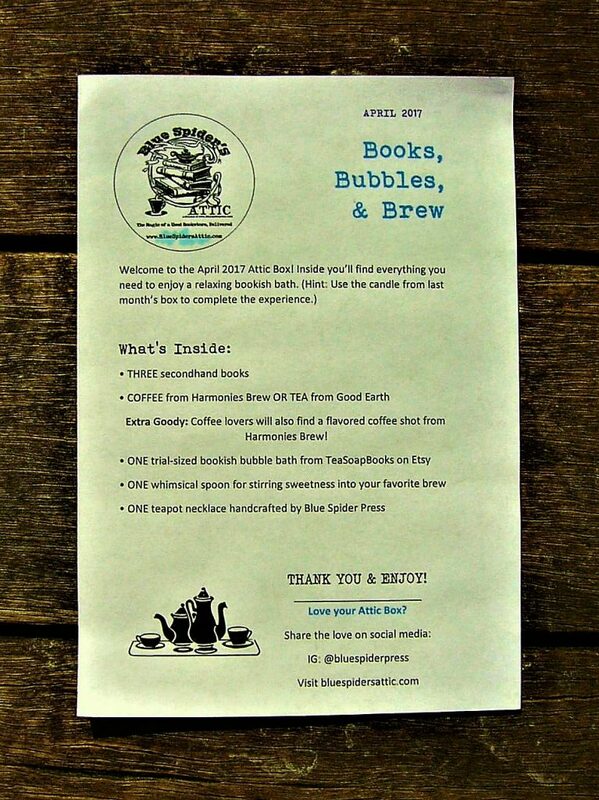 Blue Spider’s Attic is a book subscription that sends you used books, coffee and/or tea, and bookish accessories. Each month’s box is based on a different theme, and all items are carefully picked to match that month’s theme. Each box comes with three used books along with enough tea or coffee to fill a whole pot. Also included are bonus accessories that correlate to the month’s theme. One of the best things about subscribing to this box is that you are able to list your book preferences. No two boxes are the same, and the owners work hard to make sure that you receive books you will love! 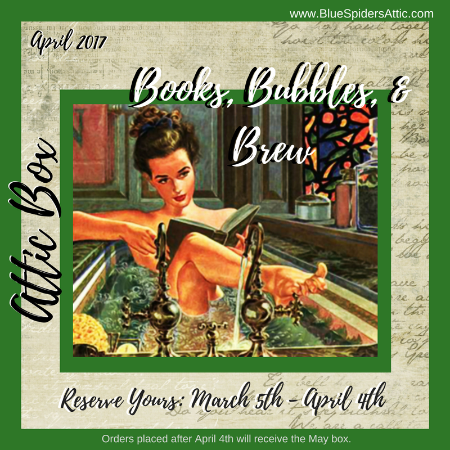 I received The Attic Box to review, and April’s theme was Books, Bubbles, and Brew! 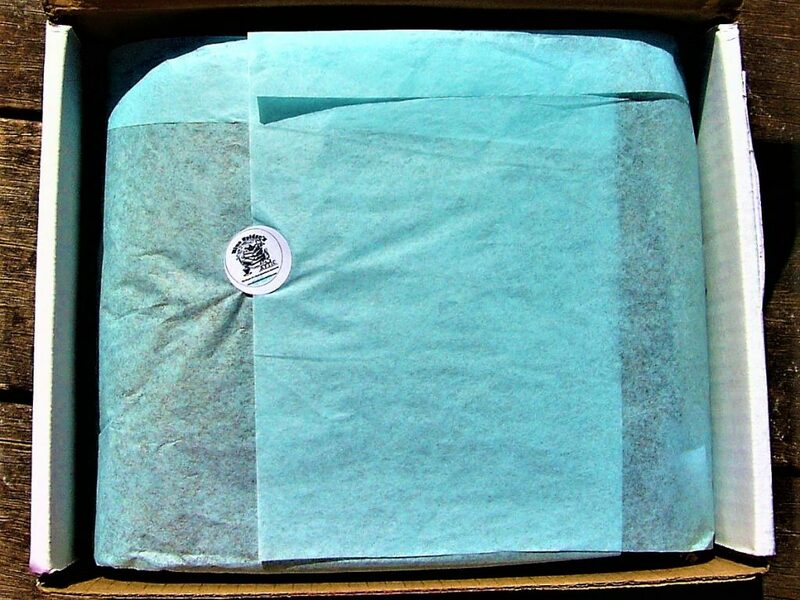 Blue Spider’s Attic shows up in a simple white box with the logo on the front. Upon opening, I was happy to see the contents of the box was wrapped in blue tissue paper! This is a cute touch, and it intensifies the surprise element. 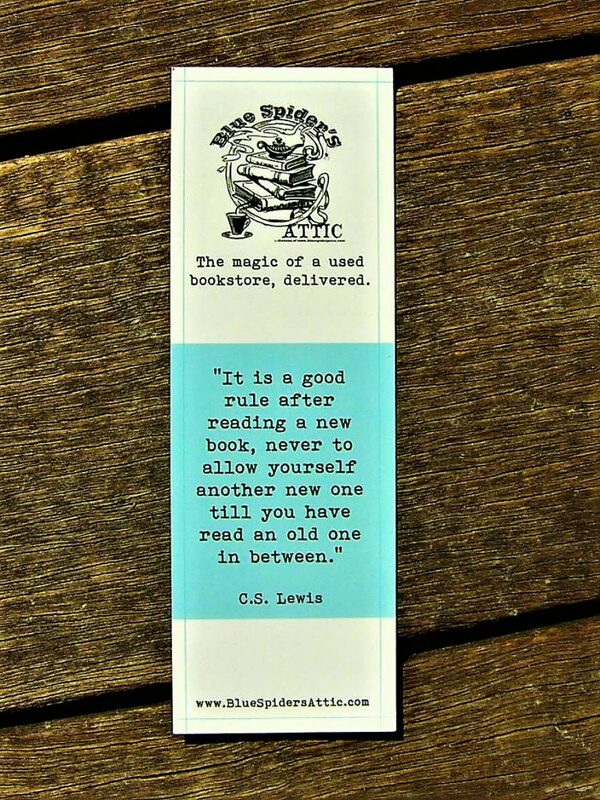 The Attic Box comes with this adorable bookmark for all of your reading needs. 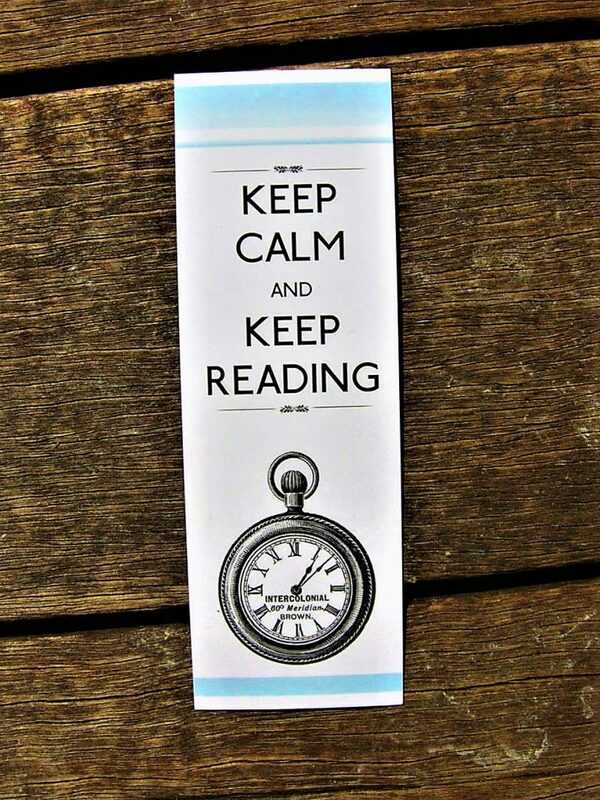 I love the quote on the back of the bookmark, and I will definitely be putting this to good use! Also included is this item list! It lists everything included in the box, as well as the different shops that were included. I love how this box comes with either tea or coffee based on the subscriber’s preference. I personally received the coffee, and I am so glad because I am coffee OBSESSED! 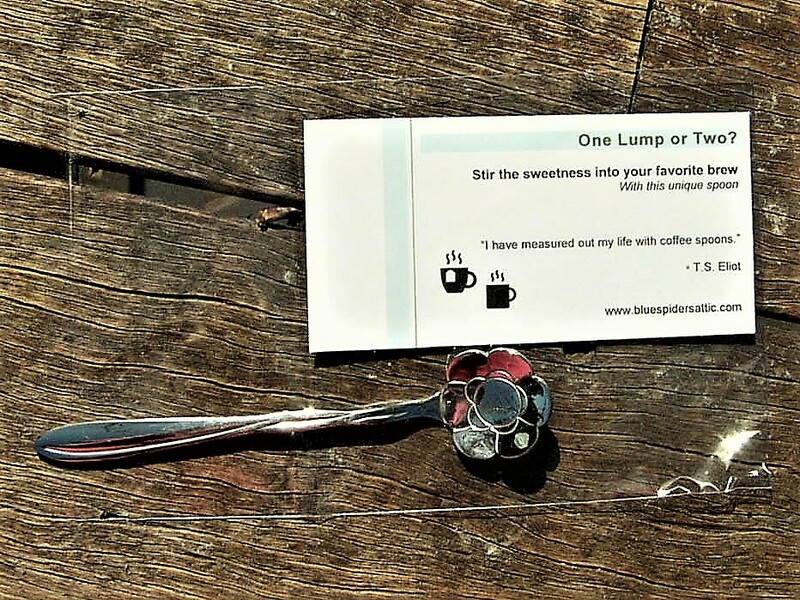 The first item included in the box is this adorable teaspoon. I am in desperate need of a spoon to spoon out my loose tea, and this one is perfect! This is one of the bookish items included in the box, and I love it. 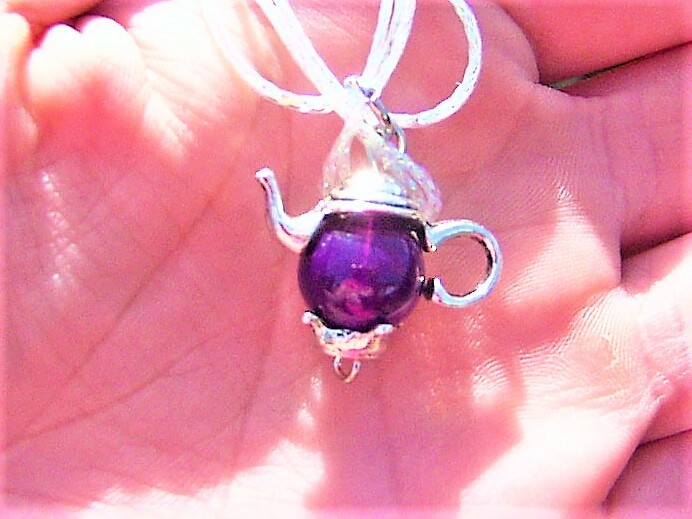 The next item is this gorgeous teapot necklace. 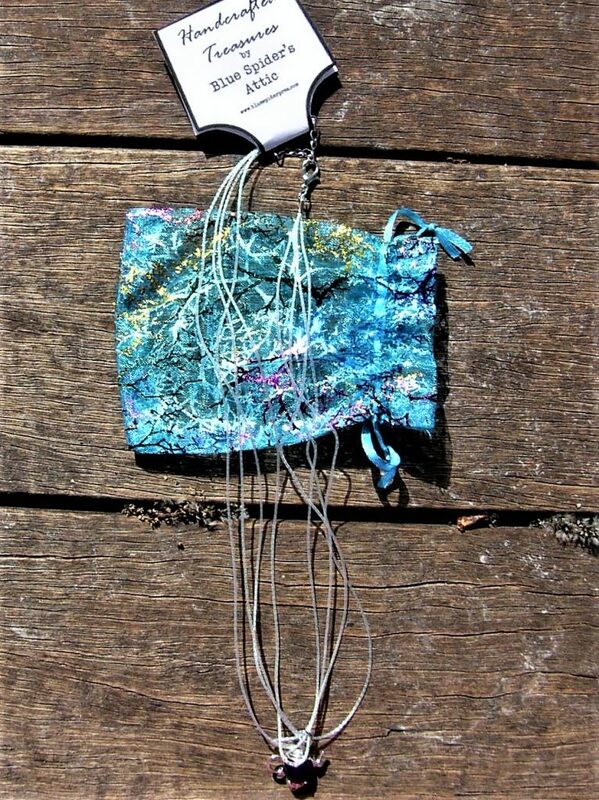 This necklace is an original from the creators of Blue Spider’s Attic. I love the purple color of the teapot! It is also nice to know that this was made by the creators of the box. I love receiving one of a kind items! 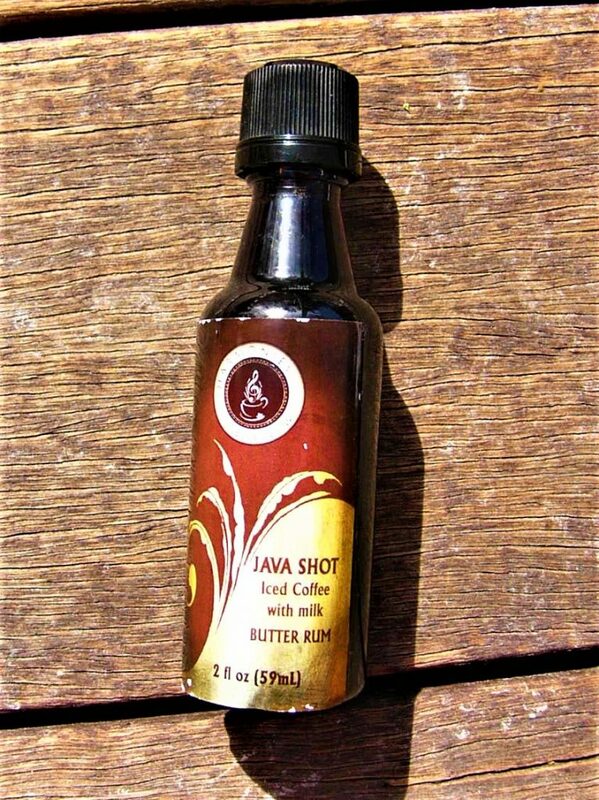 One of the bonus items in this month’s box is a Butter Rum Coffee Shot from Harmonies Brew! 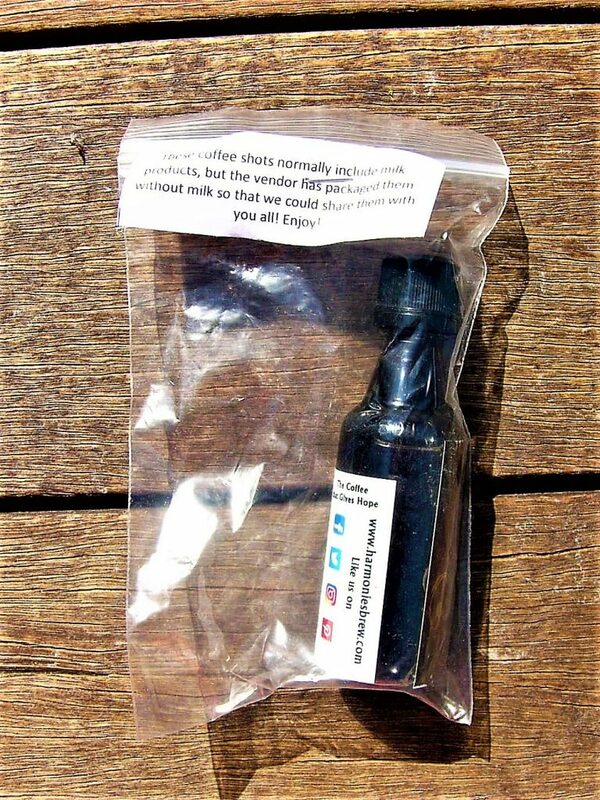 This shot originally comes with milk, but these bottles are shipped without so that they are preserved. I love that the shot doesn’t have milk in it because I’m lactose intolerant, and I love my shots straight up! The flavor of this shot was sharp with a hint of sweetness. 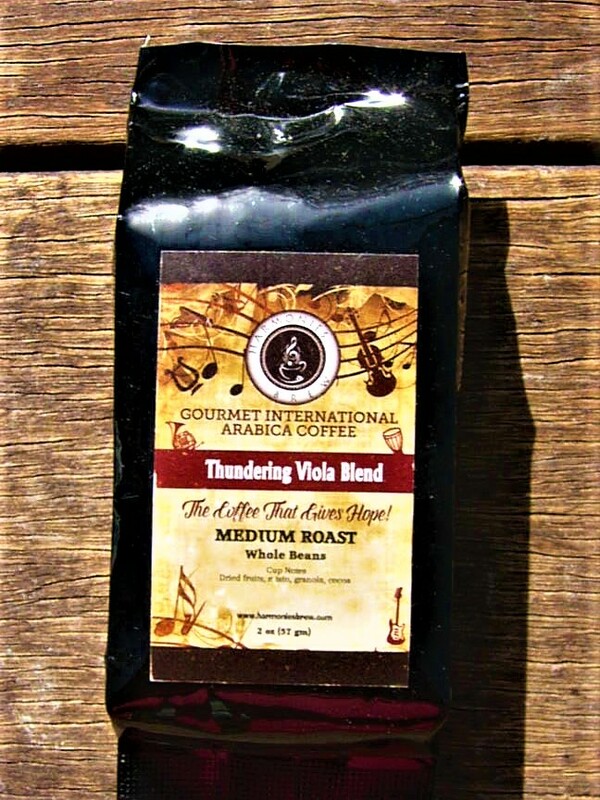 Butter rum is my favorite flavor, and it was nice trying something from a new coffee company! 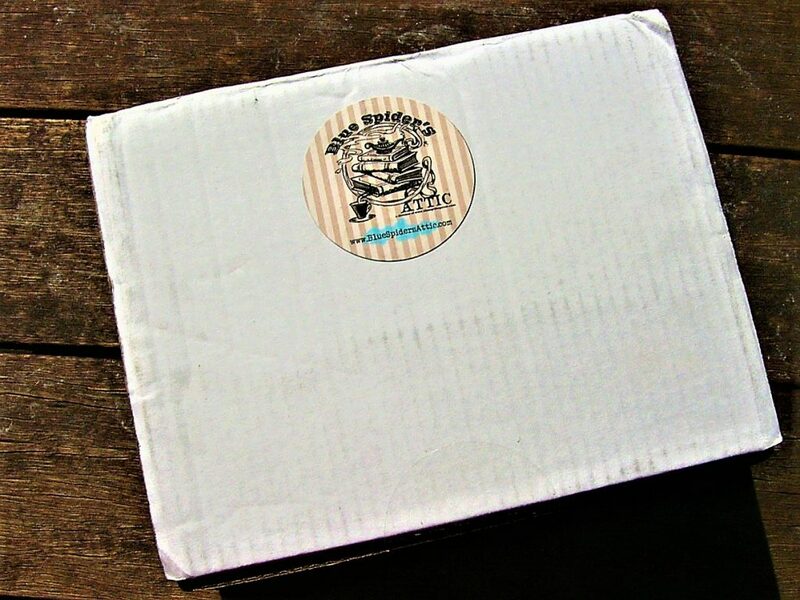 Also included from Harmonies Brew is this package of whole bean coffee! This amount of coffee is enough to make a full pot, and I can’t wait to try it. I love trying new brands and flavors! 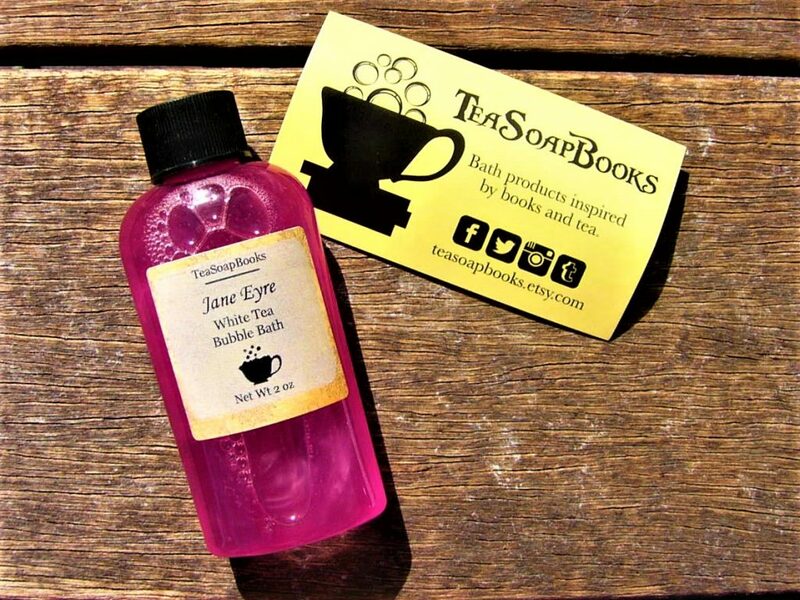 The last bookish item in the box is this white tea bubble bath inspired by Jane Eyre! This bubble bath is from TeaSoapBooks – a company that I ADORE – and the bubble bath will be perfect for my next book bath! Jane Eyre is also one of my favorite literary works, and I love items inspired by classics. 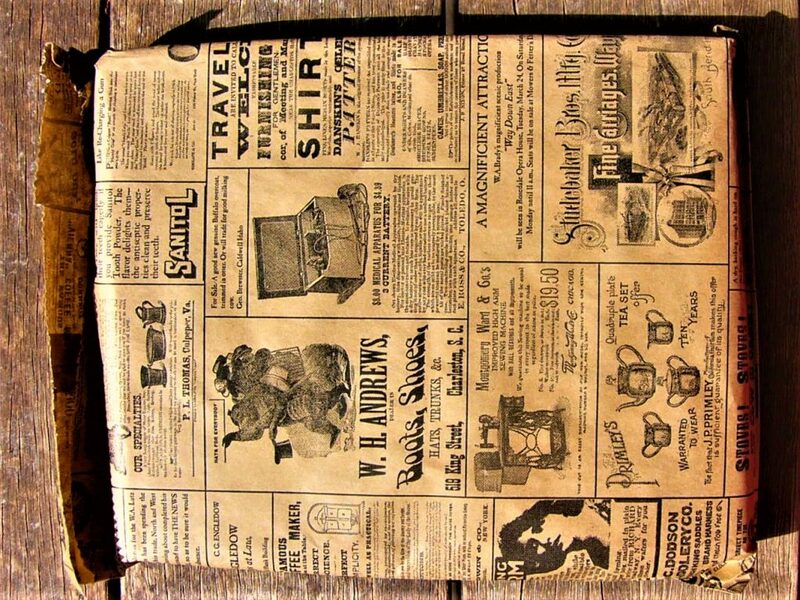 The first book in my box came wrapped in this adorable newspaper print sack. 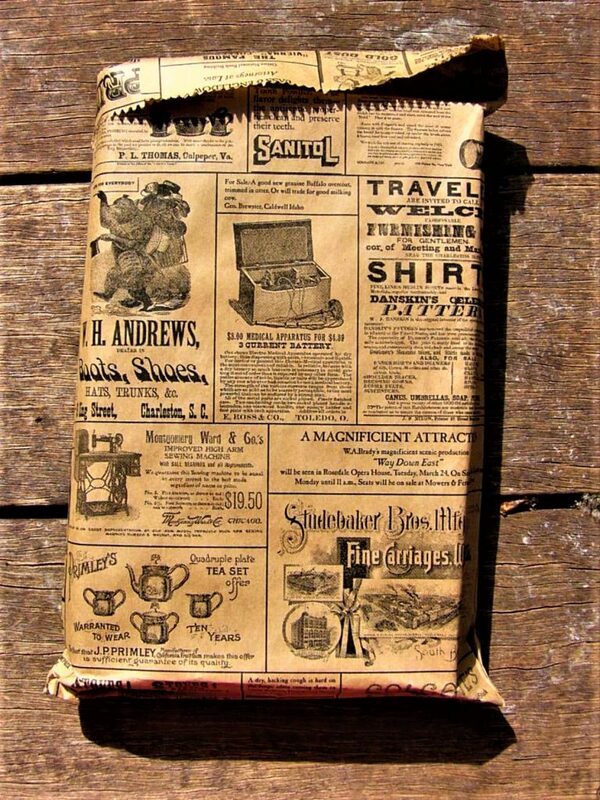 I love how nostalgic the newspaper is, and it adds that secondhand feel that I adore! 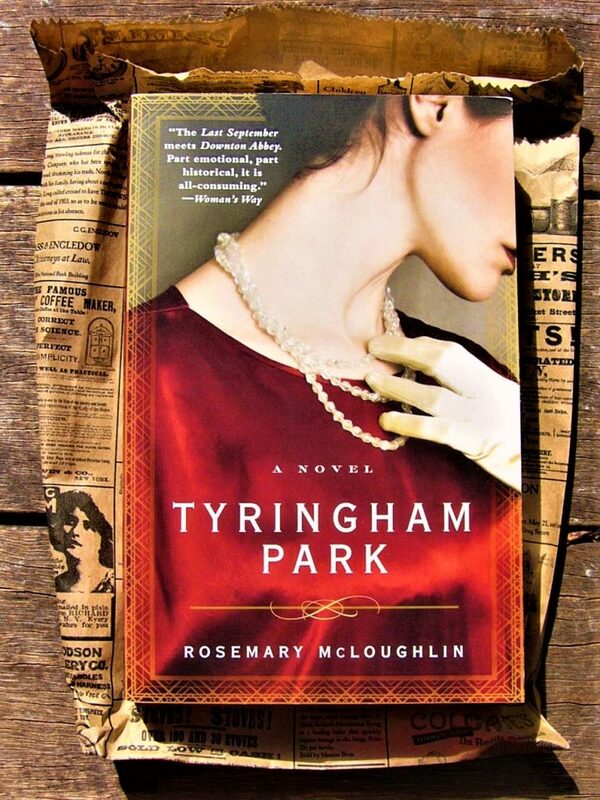 The first novel that I received is Tyringham Park by Rosemary McLoughlin. I have not heard of this novel before, and I loved receiving a book that I wouldn’t have chosen otherwise! This novel is historical fiction, and I am always a sucker for this genre. The second two books that I received also came in a newspaper print sack. I am just in love with this packaging and it reminds me of my favorite used bookstore. Unfortunately, my favorite used bookstore went out of business so I am so glad to have this box! It fills that gap that I am missing. 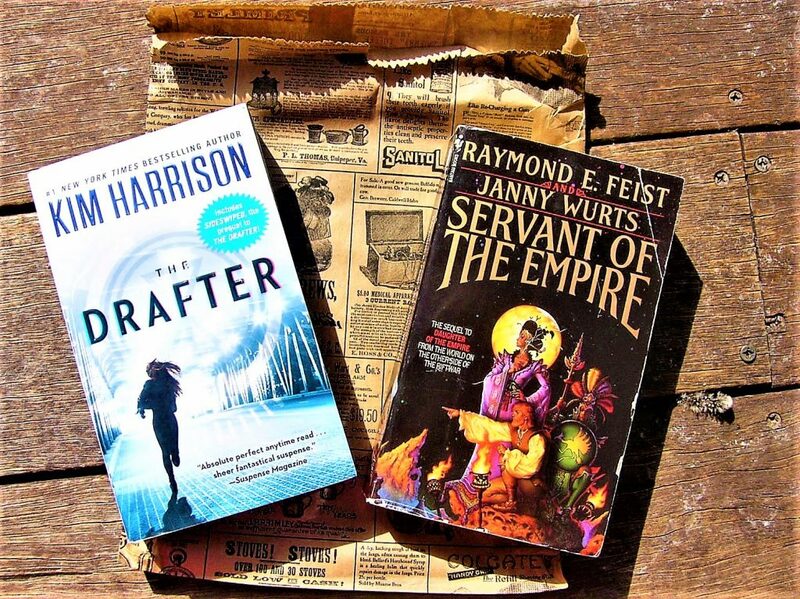 The second two books that I received are The Drafter by Kim Harrison and Servant of the Empire by Raymond E. Feist and Janny Wurts. The Drafter is a thriller while Servant of the Empire is a fantasy. I love the eclectic mix of novels that I received, and how different the three of them are! Even though Servant of the Empire is a sequel, I have found that high fantasy novels like this one can often be read out of order. I am so excited to have received books I would never have thought to pick up. Having this box is like having a personal book dealer choosing my reads for me! Final Thought: I am IN LOVE with this box. It is so different from the other book boxes I have received, and used books are my favorite. I love the thought of reading a book that so many others have read, and it makes me feel connected to other readers. Blue Spider’s Attic did very well with including one of a kind items that fit the used bookstore experience perfectly, and I adore their book choices. The only con is that there is the possibility that you may receive duplicate books since they are used and the box is a surprise box. However, there are so many books in the world and there are so many for you to discover. 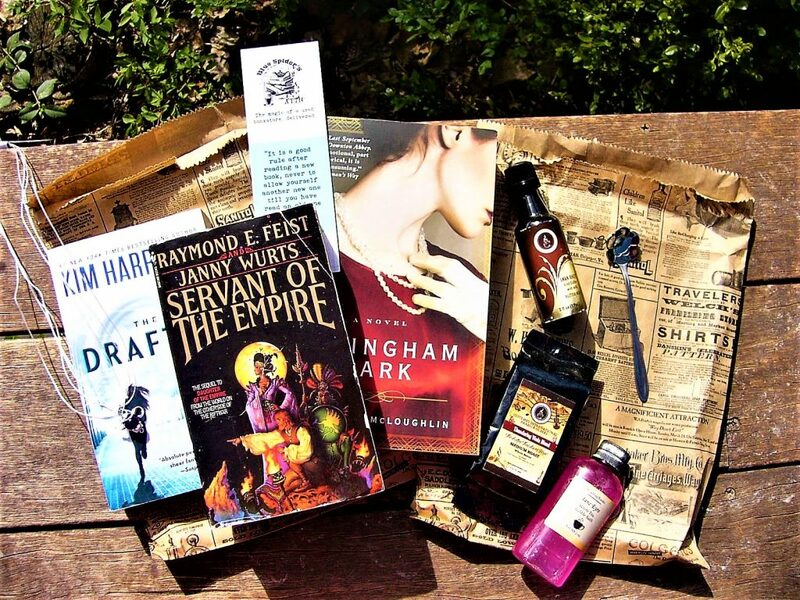 If you love used books, coffee, tea, and fun bookish items, then this is the perfect box for you! It also makes a great gift.